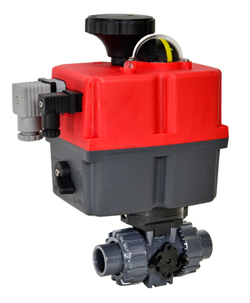 Valworx 561206C electric actuated PVC ball valves are typically used for on-off control of water and liquid media compatible with the materials of construction (not suitable for air or gas). Actuator uses power to open and power to close, stays in the last known position with loss of power. 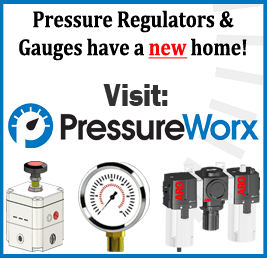 On receipt of a continuous voltage signal, the motor runs and via a flat gear system rotates the ball valve. The motor is automatically stopped by an internal cam striking a limit switch. On receipt of a reversing continuous signal, the motor turns in the opposite direction reversing the valve position. Typical applications include industrial/process piping, pulp and paper, food processing, water treatment and irrigation. PVC Ball Valve - EPDM/Teflon Seals 3/4"